Its getting to that time of year where you may be making big decisions on what University you want to apply to and whether or not you want to live in halls or commute from home. Obviously this depends on how far away your desired University is, but I know for me I contemplated whether it was worth me going in to student accommodation or staying at home. Both of the options have their perks, but for me, I chose to stay in student accommodation. For me to commute from home to University, I would have to get an hour bus journey. Of course this isn’t impossible and not the worst case scenario, but this did put me off staying at home for my first year. I thought I would share some of my personal perks and down sides of living in student accommodation. The social aspect of student halls was also a massive decider for me, as I wanted to make sure I was socialising and making new friends, and sometimes I feel like halls is the best way to do this. I was lucky enough to get a great bunch of flatmates and get along with them all well, but unfortunately this isn’t always the scenario! Before I moved out I didn’t know a massive lot about cooking or any of that jazz, but when you’re forced to cook for yourself every day, it soon becomes easy and just like an everyday task – mainly because it is haha! Although I’m still not massively adventurous with my recipes, and tend to stick to the same simple combos, I do think my skills have been improving! (I also make sure to send my family pictures of my meals I’m proud of to prove that I’m eating normal meals and not takeaways and super noodles 24/7…) There’s also mundane tasks of cleaning and washing that you have to do but this is just part of living independently. It gives you a taster of independence while not leaving you completely on your own. There’s always reception staff for the accommodation available and emergency contacts for when you lose your key on a night out etc. Obviously because you’re not living at home, you can basically do what you want and when you want. I remember finding this freedom really weird to begin with, but I soon got used to it and got into a routine eventually. Being in halls usually means that you’re close to city centre, which was a massive deal for me, as usually I would’ve had to get a bus or train to get to the shops or go to the cinema! You can find accommodation at a range of prices, and for the majority of them the bills are included so you don’t have that to worry about – however, it is undoubtedly more expensive to live in halls than at home. I just learnt to budget so that I made sure I had money aside each month for my rent (which was all of my student loan plus some more!). It’s not all easy-going and happy. 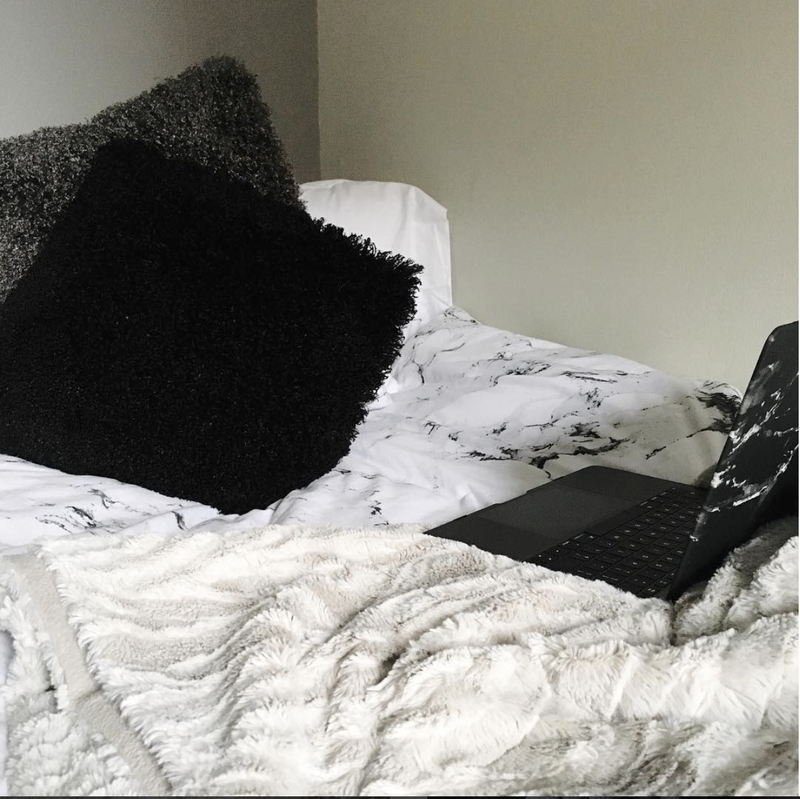 Living with five + people in a flat constantly can mean that sometimes people can get naggy – everyone has their moodier days and I think its just more noticed when you’re living around the people constantly. For some people (thankfully not me), arguments can occur and people may fall out. The people you get placed in a flat with also may not be your cup of tea. Not everyone can get along, and you’ll have to prepare to deal with other peoples mess. The walls are paper thin, so the chances of hearing your neighbours conversation or alarm are high – but you do get used to it. There will also be flat parties nearby, outside noise and plenty of fire alarms to wake you up in the middle of the night. Luckily I live close enough that I can take trips home every couple of weekends, so my home sickness isn’t too bad. But for some people it can be, and for your first few weeks while you settle in you can miss home and feel really crappy. 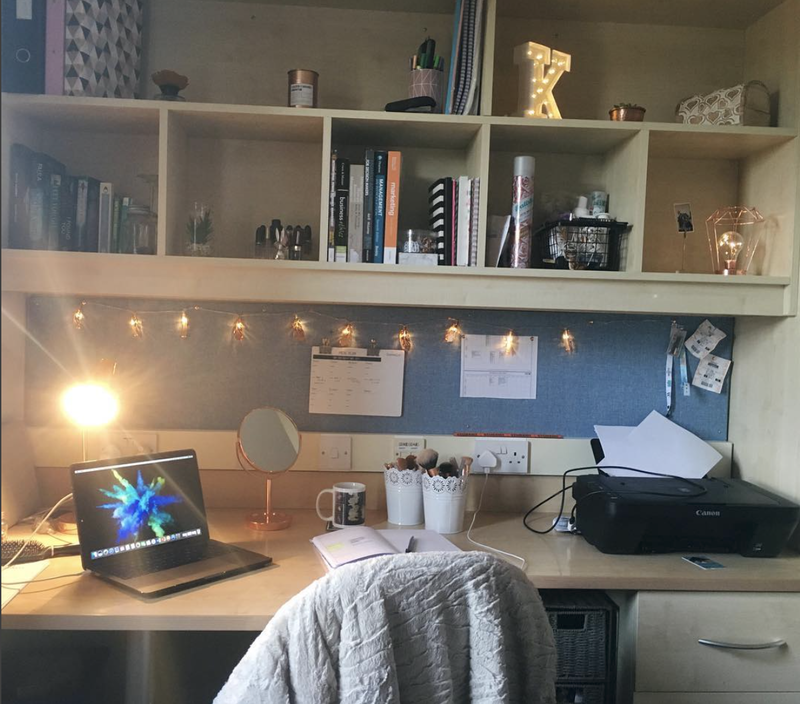 I hope enjoyed this post – I’m going to try and do some University posts more often so if you like them or want me to write about something in particular, then let me know! Thanks for reading!